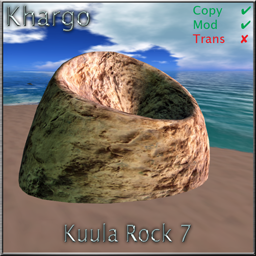 Khargo: Furniture and Design: Rocks and Plants and Bears..... Oh My! 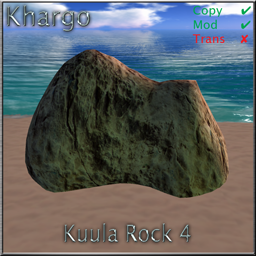 Okay... so I was kidding about the bears.... but we do have some new rocks and plants for your landscaping delight. 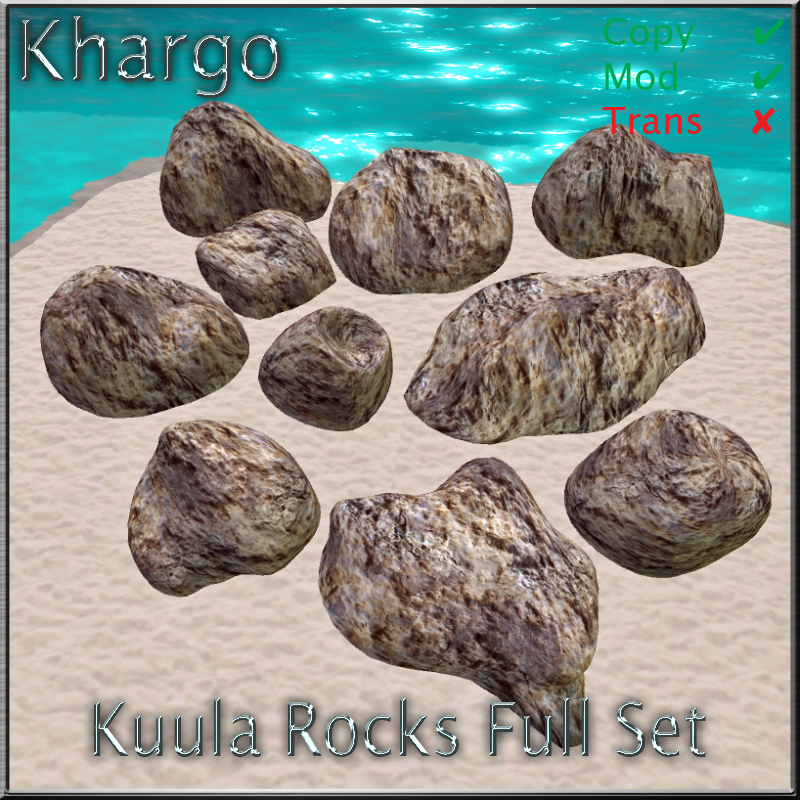 First we have the Kuula Rock Set. 10 rocks at 1 prim each to bring some texture and geographical interest to your parcel. 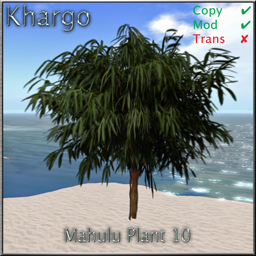 Copy and modifiable so you can place as many as you want and stretch them as you need. 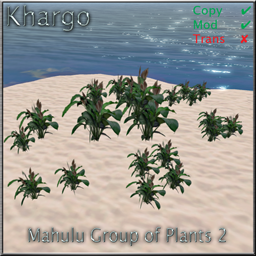 To soften the hard landscaping we have the Mahulu Plants. 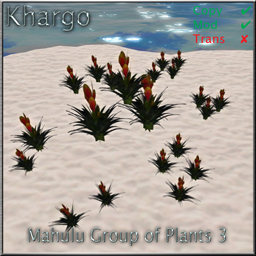 A set of 19 different plants consisting of 8 groups of small plants at only 1 prim per group you can lay down a whole heap of them to transform your garden. 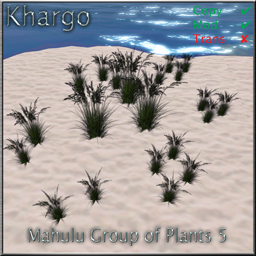 To go with these we also have 11 single plants which are also only 1 prim each. 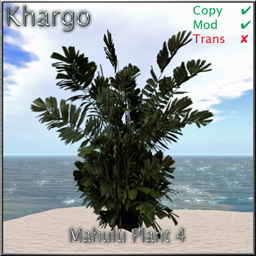 All the plants are copy/ modify and all are LOD protected so they don't loose their shape as fast as other plant sculpties. 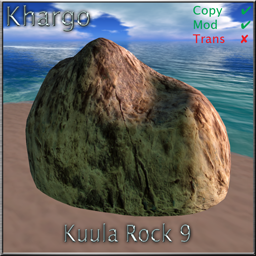 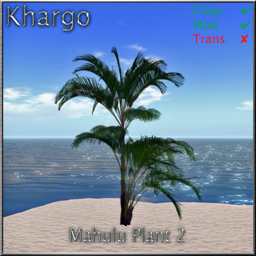 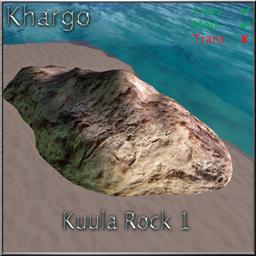 See the full sets of these rocks and plants in world at Khargo or on Xstreet - Kuula, Mahulu.